The new defence guidelines of the European defence institutions herald a true turning point. How do you view this new dynamic and what does it mean for the European Defence Agency? I believe that we have reached a crucial momentum for European Defence whereby there is a clear demand on the part of public opinion. Three quarters of Europe's citizens view defence as a priority. They want the European Union to pay more attention to this. Hence I believe that it is a good thing that the Commission, within its remit of course, has decided to see what it can do to support this. President Juncker has been on the forefront of this work. The Commission's action plan sets out the support that it will provide in the implementation of the global strategy that was put to the heads of State and government by the High Representative Federica Mogherini last year. This is something I welcome because these developments are vital. The Commission has many instruments at its disposal, both regulatory and financial, which can help towards the development of military capabilities and which can also help protect and support our industries to guarantee Europe's strategic autonomy. Many of the world's problems are changing and we still do not know what tomorrow's challenges will be. The heads of State and government hope that Europe will still be a global player in the future, which is capable of projecting security and stability, not just towards the outside and the neighbourhood but also within Europe itself, where they have to protect their citizens. There are four main conditions for the Commission's proposals to be successful. - In the area of defence, capability and capacity needs must be established by the Member States, whose sovereignty has to be respected. For the implementation of the instruments that the Commission is putting forward capability priorities and choices must be identified by the Member States, notably in the Agency's Capability Development Plan (CDP) which sets out a transparent, structural cooperation process between the Member States. - Secondly the European Defence Fund and the Commission's action plan must benefit all of the Member States. If they only support some industries or some Member States the initiative will lose some of its legitimacy at European level. - Thirdly focus has to be placed on capabilities, an area in which there is true added value at European level, ie that no Member State can develop alone. Cyber defence is clearly an extremely sensitive area for which the response to threats cannot just be national, otherwise the weakest link in the chain in Europe might affect all of the others. - The fourth condition is to find a balance between the intergovernmental and community method, in the way that this action plan should be implemented, according to a model that already works very well within the European Defence Agency. At present we are experimenting with what we call the Preparatory Action on Defence Research (PADR) launched in June by the European Commission and implemented by the Agency which will finance defence research projects using the community budget over the next three years, 2017 to 2019 ahead of the introduction of a community research defence programme in it own right planned post 2020. In line with the role granted to the Agency in the treaty we have defined with the Member States the areas which will benefit from the Preparatory Action. We have also communicated a list of priorities to the Commission which were then discussed and approved in its programme committee. The technical specifications of each question have been developed at the Agency in existing technological work groups and in which industry is represented. There is no need to create any new structures but to strengthen existing structures and networks of expertise within the Agency. The 2017 programme was decided like this and we are going to do the same in 2018. Each time we have prepared work prior to presenting our suggestions to the Commission where decisions were taken according to the comitology method (i.e. with the opinion of a panel of national experts). On 31st May I signed a delegation agreement with the Commission and we launched the 1st call for tender on 7th June. Industrial information days will be organised on 27th June in Brussels. More than 300 industrialists have said they want to take part. We shall proceed like this during the entire Preparatory Action to ensure that the entire sector can benefit from this - small, medium sized and large companies alike. We shall responsible for the organisation of the calls for tender and in the end it will be the Commission that will approve the result of this call for tender in the programme committee. On which basis? One which is purely legal? Yes, these are European funds. It is the Commission that will have to defend the way the funds are being used before the European Parliament. This is why the Agency has adapted to the Commission's accounting and auditing rules and the Agency can now say that it is totally compatible with the Commission. What will the legal regime of this fund be? Will the Parliament then monitor it? EU Commissioner Bienkowska (for the internal market, industry and SME's) believes that expertise has to be provided flexibly by the Agency, but with the imperative to account to the Parliament that the funds have been used correctly. And "correctly" also means that the incentives granted to a research programme are leading to programmes that will effectively be used by the Member States. This is why the European Defence Agency will have an extremely important role to play ultimately, to guarantee that the research results produced by consortiums or Member States will be used by a group of Member States to develop capability programmes. The Agency's different working groups are already following capability programmes. This is a nursery for future programmes that will then be eligible to what we call "the capability window" (the European Defence Fund to help programme development). If the Council and the Parliament decide to approve the Commission's proposals and launch the European Defence Fund, which I would like, it will be possible to provide funding for the development of these capabilities. The defence industry in the different Member States also differs greatly. Some States have great capabilities, others real capabilities and then there are some who have none at all. Do you want all Member States to benefit from the new opportunities provided by this funding? How can this be respected and yet avoid the danger of lowering the level of quality in terms of research and production, achieved by some major European whether these be Italian, French, German or British? The Agency and the Commission work in an extremely integrated manner to support the European defence industry, Europe's industrial and technological base. I believe that things should be as follows: we need a strong European defence policy that comes from a compromise between Member States. Capabilities must follow this policy and it is the Agency that defines them according to political decisions. This must guide industry and not the opposite. The aim is to have the means to guarantee the protection of our citizens, as demanded by the global Security Strategy. Of course this will use the major European groups as its support and they also need SMEs. The major novelty in the Commission's proposals is precisely the opening of industrial supply chains via cooperation and not to remain solely within national chains. These are the terms for a competitive industry in Europe. Some programmes will not be possible without the major industries but in others SMEs will play a preponderant role. I would also like to add one more thing. Today - and we see this in the USA - the industry's future lies in a fourth technological revolution that is now already underway. The profile of the industry that will support Defence will change radically within the next ten years. The industries working in Big Data, artificial intelligence or biotechnology will play an increasing role in the field of defence. The main challenge for the Agency and the States will be that of innovation. How do we guarantee that these industries, which are spread over quite a large area in Europe, and which are not concentrated in one place, will be ready to work with the ministries of Defence in capability programmes? They do not always meet defence specifications but defence needs them. I believe that the industrial challenge is double in nature: opening up supply chains which could lead to future consolidation, but there will only be consolidation however if there is supply security. And there will be no supply security in Europe if we do not open the supply chains. This is linked together. The imperative of innovation makes this obligatory. You also speak of protection, not only of individuals and citizens but also of industry. This also possibly means the need to protect the defence industries of the future, including those of our allies? This is one of the Agency's strategic goals: to strengthen the European defence industry, to make it more competitive and autonomous. Beyond industrial issues the ministers decided in May 2017 after a strategic Long Term Review (LTR) to strengthen the Agency in its role as central operator regarding all community activities and programmes linked to defence. In real terms it has been agreed for the Agency to be the main forum for the prioritization of capabilities and technology at European Union level. A second priority approved by the ministers is to strengthen a mission that has already been provided for in the Agency's constitutive act, i.e. the development of technological capacity and capability projects. There is still a great deal of untapped potential in this area and we now want to use it to support the Member States in the entire cycle of capability development, from research to acquisition. The third mission that has been enhanced for the Agency is of a more political nature: the Agency must strengthen its role as an interface and facilitator between the defence ministries of the various European States and policies. Hence capability prioritization must therefore gain in importance. - Firstly the CDP (the Capability Development Plan) in which industry will be involved to a much greater degree. Moreover the implementation of the CDP ought to be strengthened and improved further by the Coordinated Annual Review on Defence (CARD), which ministers decided to introduce in the future and for which the Agency will serve as a kind of secretariat; a trial run is being planned for this autumn. I think that CARD can fundamentally change the way the Member States plan and make their investments in the area of defence. CARD should also facilitate the identification of cooperation opportunities in the future and make the CDP more output-oriented. - Next spring a third instrument will be developed, once the updated CDP has been approved by the Member States: the list of key strategic activities. The Agency has followed a methodology developed at national level by several Member States but which assesses at European level the necessary industrial capabilities, know-how and human resources, to ensure that there will be no dependency in key areas on the part of the EU in the future. Five projects have been identified with the Member States. The Agency and the Commission are studying the best way to concentrate means in these priority sectors. France for example has promoted the importance of electronic components that are vital in all future developments like Big Data. The four other projects involve satellite communications, cyber trade, the protection of critical infrastructures and measures to counter mini-drones especially in the maritime area. There will be other areas that will gradually be identified. The Commission's proposals provide for the attribution of European funds to be reserved for projects that will then be the focus of acquisitions by the Member States. Might the competition policy in the area of defence develop towards European preference? If there has been an investment of European funds then one must purchase European? It is clear that the action plan for Defence must benefit European industry. European taxpayers' money will not be used to support industry outside of Europe. We must ensure that the funds affected to business involve their activities in Europe and that there is no possibility for external forces outside of the EU controlling technologies that are developed as a result of these funds. This is the aim. We shall have to make a real effort and ensure that industries in the European Union are truly European. The "market" approach in terms of defence has its limits. Defence is another world. Everyone agrees to take on board the specific nature of defence. The imperative of strategic autonomy is not an abstract clause - it means being able to define, develop, deploy, modify and support a capability in the field. A capability developed with know-how that is not controlled by the EU 100% is one with a handicap, one that is limited. It does not mean closing the market, it does not mean protectionism. If we manage to define a policy that is agreed to by all of the Member States we shall be able to develop the integrated industry that they require. Otherwise our position in the world, that of our industry will be affected by this. Is the Brexit a particular source of concern for you? Brexit is not good news, either for Europe or for the UK - but it is a fact. The British people voted and its government has decided on this. The British made it clear on several occasions that they wanted to remain an active player in terms of European security and more precisely that they would remain committed to the Agency. We are flexible enough to have partner countries which are not EU members, as for example Norway which is very active, sometimes more so than some Member States! They have an "administrative agreement" with the Agency. Likewise, the day the UK leaves the EU we shall have to have an administrative agreement. I would like to try and set this up quickly in order to prevent any impact being made on the consortiums in which British businesses take part, but also because this might weaken some future important projects whilst European Defence is moving ahead quite decisively. Are they involved in many projects? They are not amongst the 6 or 7 most active members and are not amongst those most used by the Agency. I think they also see that the Agency has a major role to play in the future. The British are extremely active in training missions, far from their capability issues, but they have blocked any increase in the Agency's budget for six years. I am happy that they lifted their veto in 2017 which led to an increase in the Agency's spending even though the increase was not significant. It remains that this is a strong political message. NATO is extremely committed to cyber defence. How do we avoid duplication? There is always the issue regarding NATO's responsibility and that of the EU. Now we have the FNC (Framework Nations Concept) which creates its own clusters ... will this all converge in the end? Cyber defence is one of the most sensitive areas for the Member States which is sometimes the remit of the Defence Ministry, sometimes that of the civilian authorities. The Agency's initiatives are also focused on training and exercises. Our idea that is now under discussion with the Member States, is to pool requirements in order to turn them into a reality with the participation of extremely expensive and very rare specialists. There is only one company that offers the service of organising training sessions but at a very high price. We have managed to reduce prices by pooling demand. More than 15 Member States are interested in our training platform. Another ad hoc project on which we are working at the Agency is to rally and pool the requirements of the Member States in terms of cyber ranges in Europe in which the European Space Agency (ESA) is also notably taking part. We are working there towards the launch of a European training and exercise platform that might be supported by the Commission. At the same time we are working very closely with NATO to avoid duplication. But in the military field sometimes duplications are necessary! We are therefore preventing those that are not necessary! We are working with two leading nations in the cyber area, namely France and Portugal. Regarding maritime surveillance, EMSA, CISE and MARSUR do not always communicate with each other as they should. Can you remedy this? I believe there is a great deal of work to do in this area, and we have started this in all areas in which we think there should be civilian and military synergy. We have made progress over the last few years for example with the "Single European Sky" project. We have worked with the European Aviation Safety Agency (EASA), the Single European Sky ATM Research Joint Undertaking (SESAR JU), the SESAR Development Manager (SDM) and the European Commission's DG Mobility and Transport (DG MOVE) to facilitate the insertion of military flights into air traffic. We consider any new regulation carefully to ensure that our military staff is not limited from an operational point of view. And we have facilitated interoperability between civil equipment and military missions. The same work has to be done in the maritime area. We are communicating with the Border Guard Agency (Frontex), the European Maritime Safety Agency (EMSA) and the European Fisheries Control Agency (EFCA). All three hope to pool their intelligence for the benefit of the control of the borders because the mission SOPHIA (fight to counter illegal immigration in the Mediterranean) has illustrated the need for this. An exercise with all of these agencies was organised at SOPHIA's HQ on 10th May last. All of the tools together should enable the different systems to cooperate together (MARSUR, CISE). This is vital. 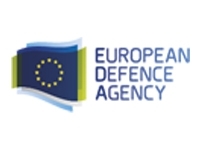 The European Defence Agency, whose role was defined in the treaties, is a privileged venue for cooperation between the Member States in the domain of military capabilities. It will adapt perfectly to the decisions of the heads of State and government who want to pool their defence research endeavours and the development of pooled programmes in areas which they defined themselves. Intergovernmental by nature but working together with the European Commission under the aegis of the High Representative F. Mogherini, it is the ideal tool to make this revival desired by the States and facilitated by the common institutions, a success.